The admit card for the KEAM 2019 Entrance examination is expected to be released today i.e. by the commissioner for the Entrance examination CEE Kerala. The eligible applicants who have applied for the examination of CEE Kerala KEAM 2019 can now download the Admit Card from the website of CEE Kerala. The CCE Kerala is scheduled to be conducted KEAM 2019 Examination on May 02 and May 03, 2019. The admit card for the Kerala Engineering, Architecture, Medical (KEAM) 2019 Entrance examination is expected to be released today i.e. by the commissioner for the Entrance examination CEE Kerala. 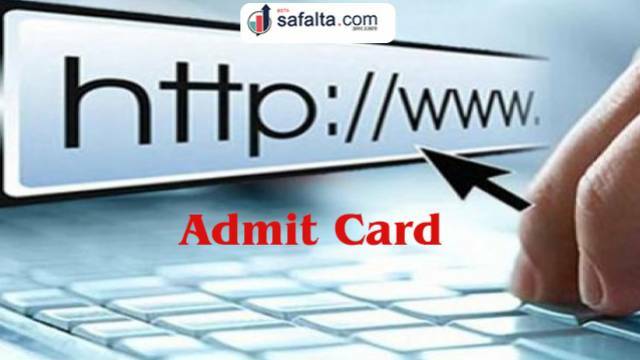 The admit card will be released on the official website i.e. www.cee.kerala.org.The eligible applicants who have applied for the examination of CEE Kerala KEAM 2019 can now download the Admit Card from the website of CEE Kerala. The eligible applicants are advised to download the Admit Card as soon as possible. The CCE Kerala is scheduled to be conducted KEAM 2019 Examination on May 02 and May 03, 2019. 4. Applicants can now download the Admit Card/Call Letter. NOTE: The eligible applicants please take a hard copy of your Admit Card and bring at the time of your an Examination.